As promised, here are a few more details from the Favorites Party! I had been inspired by the paint chip crafts I kept finding on Pinterest, in particular this one by BellaCarla with a stamped image. 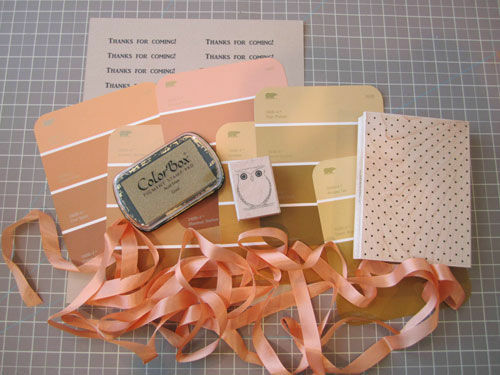 I grabbed a few paint chips from Home Depot with a fall palette in mind to make my thank you tags. 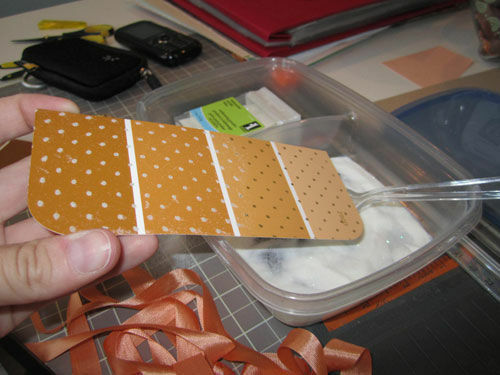 I cut them in half, stamped a polka dot pattern with Pigment Ink and did a little heat emboss action to add texture. 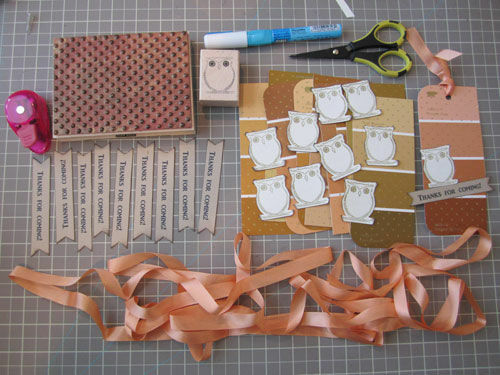 Add a printed phrase, a heat embossed owl and a ribbon and voila, a pretty thank you tag! #13 on my 30 Before Thirty list included making cupcakes from scratch. 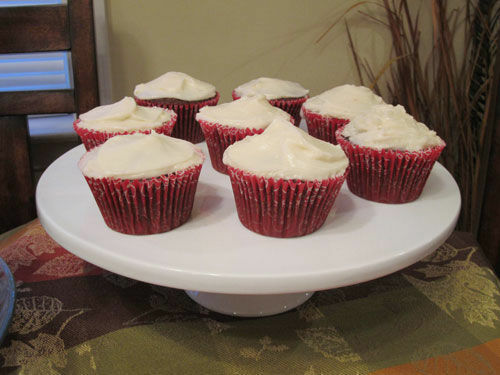 I went on my favorite recipe site, AllRecipes.com, and decided on a Red Velvet Cupcake recipe from McCormick brand to be my first ever cupcakes from scratch. I think they turned out pretty good, but was surprised that the recipe really does make 30 cupcakes! 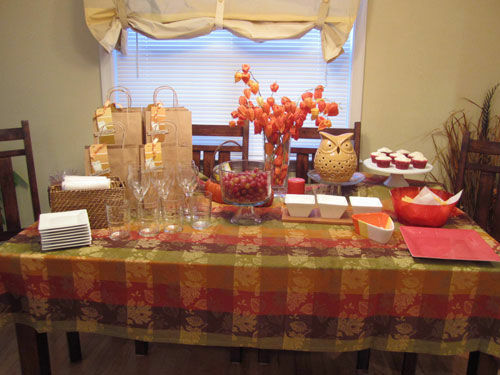 #27 on my 30 Before Thirty List included making one of those fun coordinated dessert tables for a party. I always see them on sites like Amy Atlas Events and TomKat Studios and love them! I altered this concept to just be a coordinated party table, not just desserts. I think it turned out pretty cute! 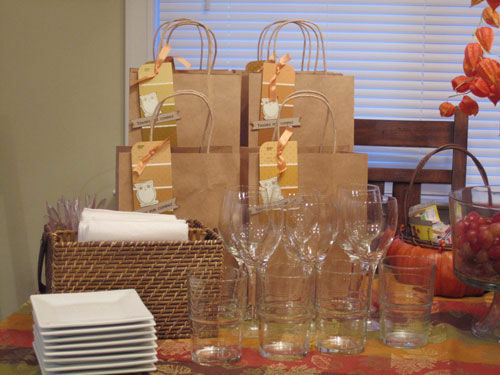 With the thank you bags and basic serving ware on one side, the Chinese Lanterns and other fall items in the center and the cupcakes and snack items on the right, it turned out to be a functional, yet cute, set up!